Every bride wants her wedding to stand out and be unique in the most beautiful of ways. 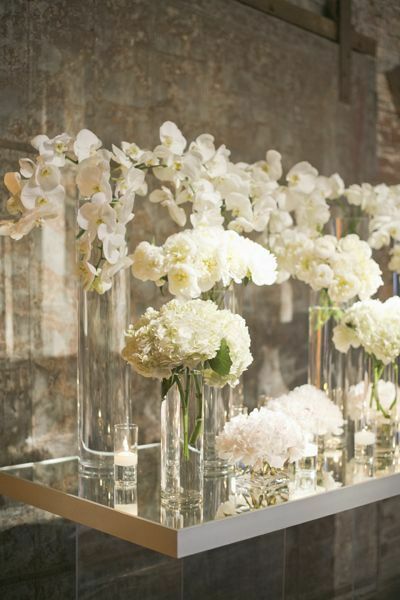 Splurging a bit on your wedding flowers is one of the best ways to add a lot of style and impact to your special day. You can source ready-made flower choices or if you have some handy DIY types in your family, buying bulk flowers and reproducing a high end design is a great way to add big style at low cost. We’ve done another search to gather some beautiful and unique wedding flower ideas. If you love any of these looks, be sure to send the photo to your floral consultant. The friendly floral experts at BunchesDirect, for example, recommend that you share your photos whenever possible, so that they can assist you with the best ways to make your flower dreams come true. You can also source fresh bulk flowers to make your own vision. Check out these ideas—just wait until your guests see these! Perfect for ceremony vows, photos, head tables or other key areas at ceremony or reception, the floral backdrop or flower wall creates big visual impact. Incorporate your favorite flowers and other romantic embellishments for a truly magical addition to your venue. Cover the wall with pretty fabric or faux “astro turf” first and then hang your flowers in long, twined “curtains” in front. This will give you a lot of impact while cutting a bit on the costs. 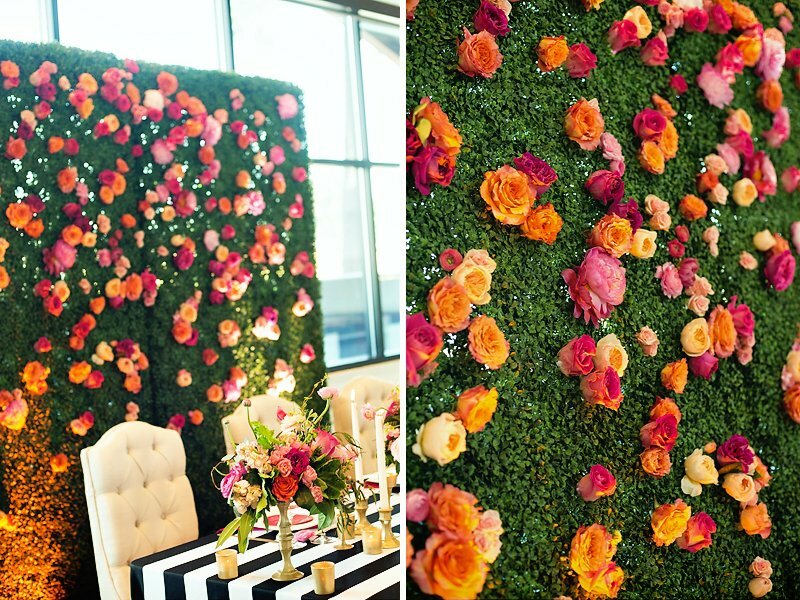 Click for more Floral Backdrop ideas. You will achieve a very unique look if you leave off the usual quest for symmetry and uniformity. Don’t be afraid to choose a variety of vases that differ by size and height. If you keep vase color or material similar, such as these all-glass selections, you will still achieve a visually balance look. You can use grouping of varied vases anywhere you want a stronger accent, such as at the entrance to your ceremony or reception, around your gift or cake table, or even as one grouped centerpiece at dining tables. You can also set vases on stands of varying heights for visual interest as well. Choose unique stands to give the grouping even more flair, such as wooden barrels or twig tables, easels, columns, stools, or differently shaped accent tables. Adorn the hanging lighting in key areas with fresh flowers. This will immediately add color, style and uniqueness to what might otherwise be a boring light fixture. Get creative—you can layer different flower types, hang mini lanterns from the original lighting fixture, use ribbons or sparkling beads or any number of other embellishments. 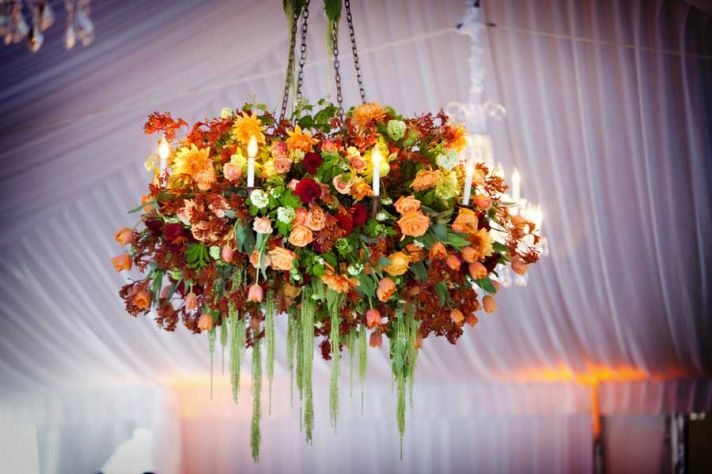 Click to read more great tips on Floral Chandeliers. The place where you speak your vows is a very special one, and deserves to have its own floral accents to make it really stand out. Chances are you will be thinking of altar flowers but you can get unique with garlands, groupings of pots or vases, or larger altar centerpieces in creative containers that provide flair and color. Check out how to make your own altar centerpieces if you are feeling the DIY bug. Using drapes to accent your aisle, your reception entrance, or your vows area is a wonderful and creative way to add unique flair. Use flowers to edge the curtains, and create floral tie backs to keep the drapes in perfect position. You don’t need a reason or occasion to get flowers for your nearest and dearest but should you need one, your anniversary definitely takes that top spot. It’s just one of those things that signify romance and love – and a milestone as big as another year of being together deserves flowers. A bunch of them! It does not matter if you’re getting flowers as a massive bouquet, inside a fancy vase, as decors for wherever you’re celebration may be, or even as part of your entrée – flowers are a must for an event as important as your anniversary and it’s always a good idea to shop around to find the best deals. But not all flowers are made equal – especially not where anniversaries are concerned. Some types of flowers are better off reserved for other occasions- like your lover’s birthday or Valentine’s Day. But for your anniversaries, you can easily go beyond the roses and explore other options – which we have included in this list. You can get a bunch of the same flowers or a bouquet that comes with a combination of any of these flowers to send your loved one the perfect message. Amaryllis – Amaryllis flowers are more popularly known to signify pride and determination, but the red ones are your best anniversary choice as they signify splendid beauty which, in our opinion, is a wonderful message to say to a spouse of several years. Birds of Paradise – these tropical favorites signify ‘joyfulness’, and the flowers that best tell your spouse how much more happy and joyful your life has become since sharing it with him/her. Sweet! 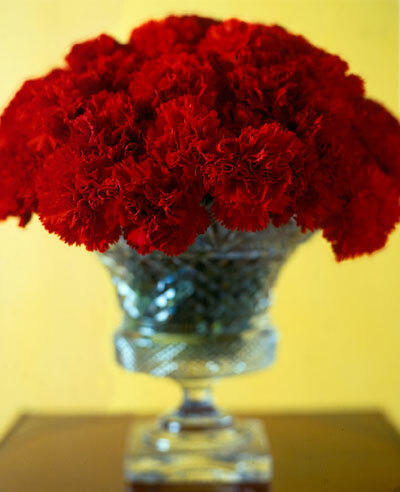 Red Carnations – this flower combines some of the best meanings in one: love, pride, and admiration. Chrysanthemums- white chrysanthemums are the best ones to give out for your seventh year for couples or partners who are dreading the so-called ‘seven year itch’. Renew your commitment and provide your partner assurance with white chrysanthemums which are known as symbols of honesty and loyal love. 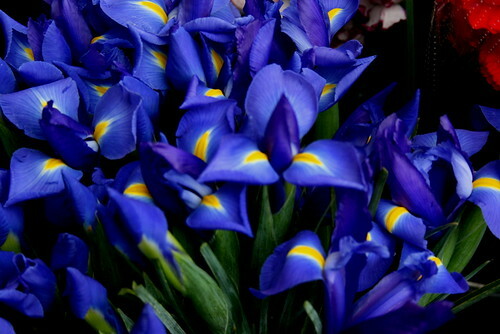 Irises- Express your passionate love with a bunch of the most beautiful irises. These flowers are perfect in a bouquet and as decors for the room or table. Either way, these pretty blooms would suit the occasion perfectly. You can find them here. Purple Lilacs – married to your first love? Give them a bunch of purple lilacs! These wild flowers are a symbol of first love – of pure and lasting romance. Sunflowers-– go big on expressing your love with sunflowers! The size of the flower head and the vibrant hues of the petals are symbols of adoration and of dedicated love – a message and a renewed promise that any spouse would love on anniversaries. Never let an anniversary pass without giving your spouse or lover flowers. The work has been cut out for you – pick from any of these flowers we have listed and watch your loved one gush, blush, and be happy with nature’s best blooms. This article was written by guest blogger Jennifer Atkins on behalf of Total Discounts. Jennifer is a frequent writer on money saving tips and general money saving advice. Total Discounts offers numerous discounts and promotions for Serenata Flower products in the UK. 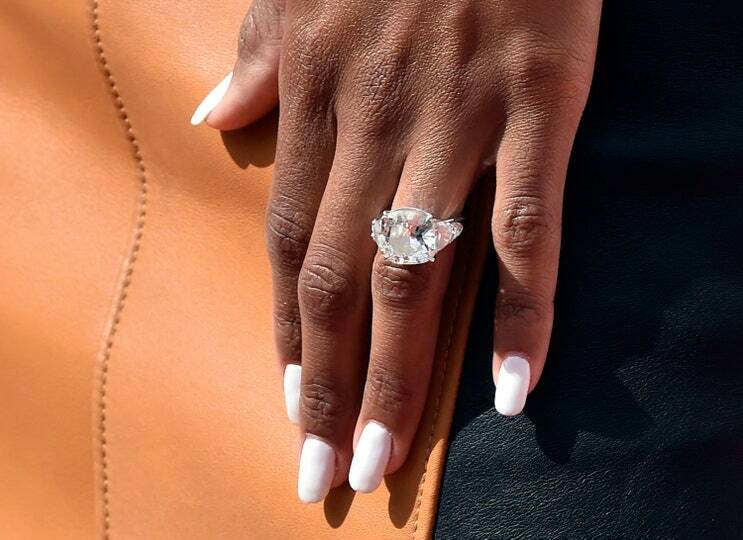 We already had high expectations for the July 6 wedding of hip hop star Ciara to Seattle Seahawks football star Russell Wilson. We had enjoyed glimpses of her bridesmaid dresses, sighed at a teasing peek at her gown, and swooned over the brief hint of monogrammed wedding bands, so we knew something big and beautiful was likely in store for the big day. Nobody was disappointed! First off, Ciara, 30, and Russell, 27, chose the pomp and elegance of an English castle as the backdrop for their union, Peckforton Castle in Cheshire, to be exact. Anytime you start with a castle, it’s hard to go wrong. The groom and his groomsmen looked dashing in Armani tuxedos, while the bridesmaids wore elegant black stretch satin dresses, individually designed for them by Michael Costello, based on Ciara’s advice and requests. And then there was the bride. Ciara dazzled in a custom Cavelli Couture gown featuring chantilly lace and pretty floral appliqué that was designed by friend Peter Dundas. The stunning gown was hand sewn in Italy, requiring multiple fittings to perfect the fit. Its cathedral length train was especially swoon worthy: it featured the couple’s monogram stitched lovingly into the lace! Her wedding day look was completed by custom made shoes by Giuseppe Zanotti. Ciara chose best friend and makeup artist Yolonda Frederick-Thompson to be maid of honor, while Russell selected best friend Scott Pickett as his best man. Approximately 100 guests joined them at the castle to share in the celebration. 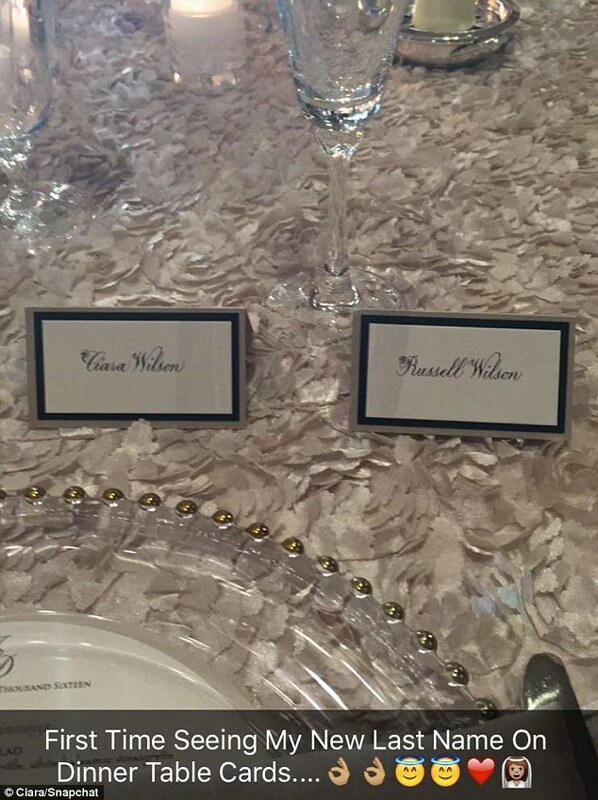 Russell’s niece was flower girl, and Ciara’s son had ring bearer duties. The beautiful ceremony was coordinated to music by Marvin Sapp and the reception featured a performance by Earth, Wind and Fire. The entire day was coordinated and planned by (who else?) renowned event planner Mindy Weiss. For more amazing Mindy Weiss wedding ideas, click here. Post-wedding, the happy pair just attended friend DeShawn Shead’s wedding and posted excited photos of their place cards that featured Ciara’s new last name. We wish Ciara and Russell all the best in a very happy marriage! There are definitely some good websites with helpful flower tips. You might be able to tackle the flowers yourself, but the whole process can be a bit challenging. A DIY approach on your bouquet might seem like a good idea; however, you have to make an adequate choice and invest in flowers that are either seasonal or long-lasting. Choose a reputable florist or online floral vendor with professional consultants to guide you. Or better yet, let them do the work for you! They can easily create your perfect centerpieces, bouquets, or boutonnieres to save you stress and hassle. This way you can be sure that your flowers will look amazing on your big day. If you do decide to DIY, there are professional videos that might also help. Unless you’re planning to wear your hair naturally, you shouldn’t style your own hair. It won’t last! Professionals have special products they use when styling a bride’s locks. A lot of women spend hours straightening or curling their hair; a professional can do it in 30 minutes or less because they have the skill and the experience. They also know what hairstyle complements your face, makeup and wedding dress. Even though you’re super organized and you like to do things your own way, on the day of your wedding you should leave the planning on the hands of an expert. A professional knows how to keep things in order. Also, it will save you precious time. Rather than be the one dealing with calls to the caterer and florist, and rush to pick up the invitations, why not spend that time with your dearest friends and just enjoy your day? Enjoy the process before the wedding and don’t stress out. You’ll have plenty of time to do that after the ceremony! Don’t let guests take photographs and by no means do them yourself. First of all, amateur photographs are hideous. A professional on the other hand, will know exactly what filters to add to make you – the bride – stand out looking fabulous. Experienced photographers can also anticipate moves; their cameras will be appointed mostly on you and your groom all night long. You’ll be in the center of attention, not your cousins, friends or colleagues. When taking photographs, lighting matters a lot. It can make the different between a bad photo and an excellent one. If you can’t afford to hire the best in the business, check the web for independent contractors looking to launch their careers. They’re usually the most affordable, and since they’re trying to make an impression, the shots will be amazing. You’ll have a whole life ahead of you to cook and try out the craziest recipes. Don’t do it on your big day, and let others handle the catering. There are lots of companies that provide exquisite services and menus at a convenient price package. Before making a choice however, make sure to pay them a visit to taste the food. Furthermore, professionals are very good at estimating how much food can a group of people eat. This will save you a lot of money! Even though you might be tempted to play your own music at your wedding, don’t do it! As THE bride, you certainly don’t want to spend the whole night behind a laptop watching others have the time of their lives. It’s best to hire a DJ (bands are overrated and old-fashioned, not to mention way too expensive) because the music has to be cued, and someone has to introduce the bride and the groom, make wishes, welcome guests to hold toasts, etc. An experienced DJ knows when to change the music too; let’s not forget that we’re at a wedding not a club. 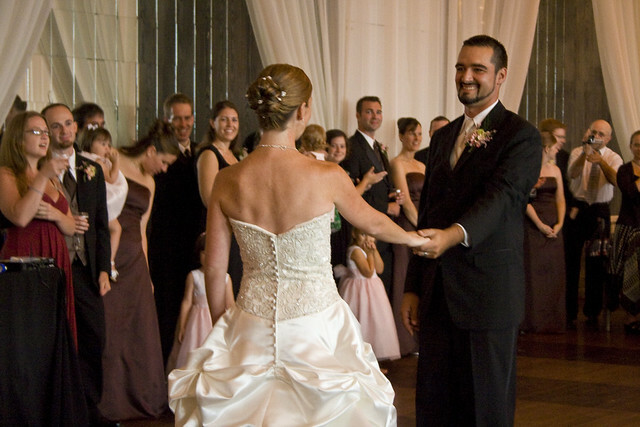 Slow dances between the bride and the groom are great at allowing others to rest a bit. You certainly don’t want to exhaust your friends and then watch them sit down for the rest of the evening. By Maxwell Donovan and Wilderness Reserve.com !